Let’s create a personalized gift your Mother will cherish! Start in your MY PHOTOS folder. Pick out a handful of photos to share. 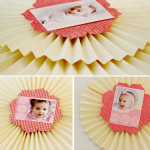 Print a sheet of 2.5 x 3.5 photos or pop them into photo minis like the ones below. Check out the How to Video in Photoshop! 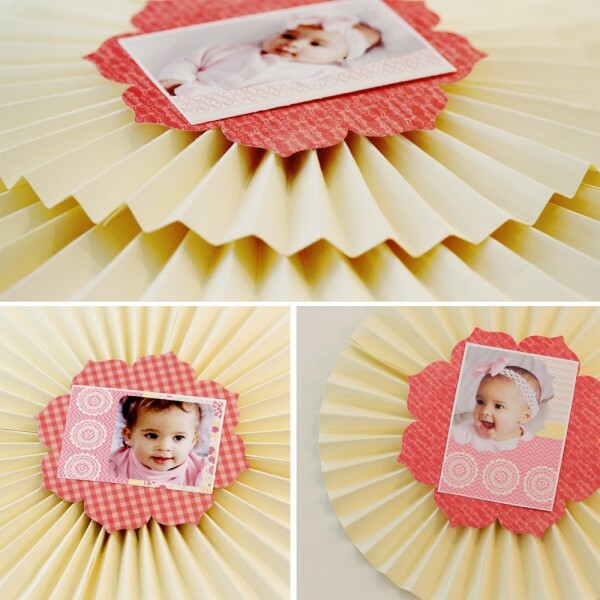 Pull out your die cutting machine or hand cut large flowers from your scrapbook paper stash. Follow the next steps to create medallions. Trim 4 12×4 inch sheets of heavy weight card stock for each medallion. Score paper strips at every 1/4″ using scoring board or bone folder. Combine 4 strips to form each medallion with strong sticky tape. Secure medallion with adhesive sticky round or strong sticky tape to a 4 inch card stock or chipboard circle on the back. Adhere die cut flowers to the center of each medallion with sticky tape. Add a photo mini to each flower with paper glue. I love how delicate and clean Kristy’s design always are. Take a minute to visit her over at her blog Life-n-Reflection. Look how cute is this Thank You Card. It would be perfect for Mother’s Day! And I also love this cute gift idea for Mother’s Day. You can put inside of the basket things you love about your mom… The colors are so pretty. Facebook, Twitter, Google + and Pinterest. What a lovely photo medallion! A wonderful gift for all mothers! Would you like to enter our Mother’s Day Contest? 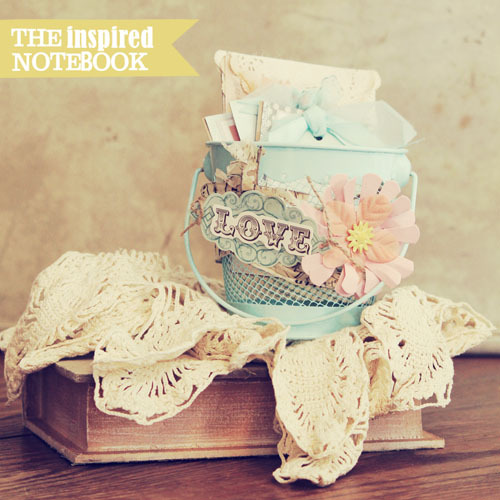 I love your idea of filing the up-cycled pail with things you love about your mother! I know any mother would really cherish that.